Naga City, Philippines - I still I have a few more bullets on my list of the things that I want to buy for the benefit of this blog which in turn will benefit my followers. But my life isn't all about blogging, I am still a normal person who works 8 hours and even more and sometimes shopping in malls or boutiques on weekdays is impossible since my schedule ends usually at 8:00 pm or 7:30 in the evening. During weekends, I still work on Saturdays and yep until 7:00 pm. Gladly, my Sunday is now free and it's now back to my family day routine. I frequently check online for price ranges and reviews of items and Lazada is one of them. Given the chance in the near future that I'll be able to have enough to buy what I need for my blogging duties and others, these are the top 5 items that I want to buy in Lazada's online store. 1. 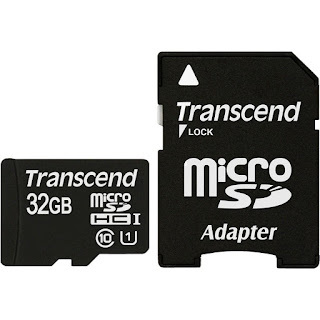 Transcend Micro SD Card - I will be needing this for my Transcend DrivePro 220 dashcam or hopefully when I now have my action camera (wishful thinking). Sometimes there are roadtrips and daily drives that I need the videos to be stored on the card for easy transfer to my phone via wifi. Transcend 32 GB Micro SD for only P880 at Lazada. 2. 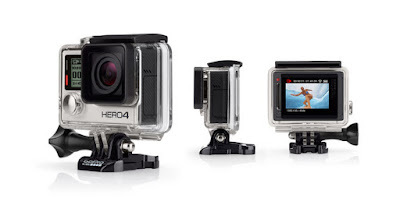 GoPro Hero 4 Black Edition - Now why will I be needing an action camera if I have my dashcam already? Obviously, each device is set for its own purpose. Since I usually go island hopping, beach escapades and hiking, having a action camera will definitely squeeze out the creative juices in me and blog about my travel in a whole lot of different perspective. It's also nice to get the GoPro alternatives available in the market, but it has been in my system that I end up getting the good and quality ones to not have regrets in the future. It does take a little sacrifice to earn a little more than the usual and be satisfied like a child enjoying her favorite ice cream or chocolate in the end. 3. 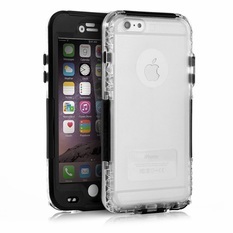 Red Pepper CLS Series Waterproof Case for Apple iPhone 6 Plus/6s Plus (Black) - Probably not practical anymore if I have my wishful thinking action cam right? Well, if I won't be able to get the action cam, then I might just get a waterproof case for my phone to be practical haha. Budget's really tight my dears. 4. 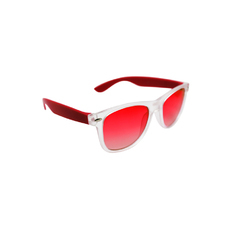 Maldives Alex Sunglasses (Red) - Just because it's red. Yup I love the color red. Perfect for summer outings and and it's so affordable. I and my sis collect sunglasses too. 5. 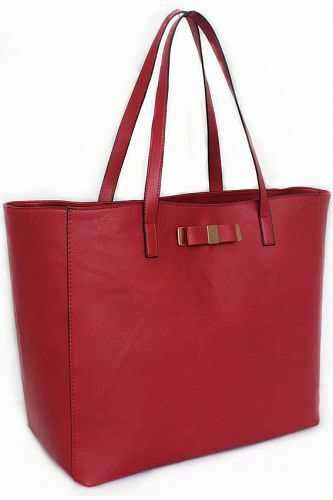 Mango Bow Shopper Tote Bag (Red) - Even though I'm a blogger, still my day job consumes most of my time and I still function as an employee. I am in the academe and if you are in the academe, small bags or purses just won't work. I need space, lots of it, this tote bag will be perfect and will match our uniform too. Online shopping does have benefits for a person like me with a hectic schedule. So there, this is perhaps a wishlist since my birthday is this coming Saturday.